The contours of the Democratic presidential primary came into clearer focus this week with Texan Beto O'Rourke's entry into the race — one of the final puzzle pieces in a contest that will be shaped by questions about race and gender, political ideology and generational change. The sprawling Democratic field features candidates ranging from 37 to 77 years old; liberals and moderates; senators, governors and mayors; and an unprecedented number of women and minorities. Former Vice President Joe Biden is the only major contender still on the sidelines and has suggested he could remain there for several more weeks. The field has been awaiting O'Rourke's decision for months. 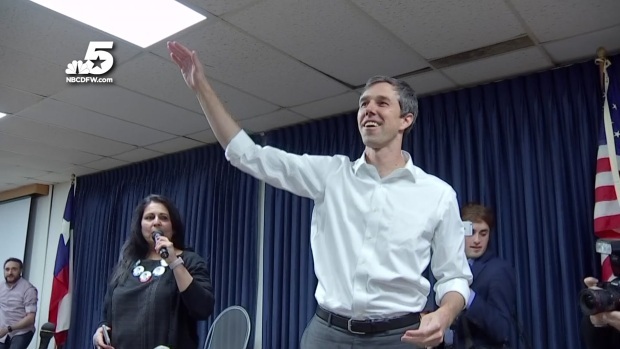 He narrowly lost the Senate race in conservative Texas in November but became a political celebrity in the process, demonstrating an easy connection with voters and an eye-popping ability to raise money from small donors. But the anticipation over O'Rourke, who served three terms in Congress, has rankled some in the party, who contend a woman or a minority would not be seen as a viable presidential candidate on the heels of a defeat. "I wouldn't be surprised if there was an assumption of competence, an assumption of quality and a desire for him to run again, as a man," said MJ Hegar, who lost a close congressional race in Texas in the fall. "A question for me, as a woman, is 'Why did you lose?" O'Rourke enters a race with no clear front-runner. Biden and Vermont Sen. Bernie Sanders have topped early polling, reflecting the reservoir of goodwill each has with a sizable share of the primary electorate but hardly guaranteeing either an easy path to the nomination. With the first primary contest still 11 months away, huge uncertainties hang over the field. Among them: Which candidates can raise enough money to sustain a long and grueling campaign? Sanders set the pace for grassroots donations, pulling in $6 million during his first day as a candidate, according to his campaign. In the final weeks of the first fundraising quarter of the year, many wealthy donors are waiting to make commitments. "You really have to have a plan to stay alive," said Joel Benenson, a Democratic pollster who worked for Barack Obama's and Hillary Clinton's presidential campaigns. "This is not just about having one demographic group. You're going to have to have broad reach to stay alive." The debates, which begin in June, also loom as the first real test of how the candidates will draw contrasts with one another. Thus far, the Democrats have refrained from challenging one another in public, arguing that party unity will be crucial in the general election campaign against President Donald Trump. "If you don't end up being the nominee, let's have none of this lingering acrimony after the nominee has been selected," New Jersey Sen. Cory Booker said Thursday. "Everybody needs to unify around the candidate because that's where the strength of the Democratic Party is." It was notable that O'Rourke's entry into the race was accompanied by a notable uptick in the kind of political shadowboxing the candidates have largely avoided, showing he has the attention of his competitors. Just after O'Rourke announced his campaign Thursday morning, another Texan running for president, Julian Castro, released a list of endorsements from Democrats in the state. California Sen. Kamala Harris announced she plans to headline a rally in Texas later this month. And she sent a fundraising appeal that singled out O'Rourke by name and pointedly mentioned the "record number of women and people of color" running for the Democratic nomination. O'Rourke, 46, said he knows that being a white man in a party eager to promote women and minorities may be a challenge. "I totally understand people who will make a decision based on the fact that almost every single one of our presidents has been a white man, and they want something different for this country," O'Rourke said in a Vanity Fair cover story published on the eve of his campaign announcement. "And I think that's a very legitimate basis upon which to make a decision. Especially in the fact that there are some really great candidates out there right now." Some Democrats welcomed O'Rourke's entry into the race. He received a handful of endorsements from congressional colleagues, who praised his unifying message. Jennifer Palmieri, a former adviser to Obama and Clinton, said the Texan's raw talent would help raise the bar for the rest of the field. "Good candidates make each other better, and it raises the level of competition," Palmieri said. With O'Rourke officially in the race, Biden is the only major player left to declare. A few long-shot candidates, most notably Montana Gov. Steve Bullock, may also still get in before the field is set. Biden's team has yet to formally hire any staff. But his advisers have been signaling to Democratic operatives in Iowa and New Hampshire that the former vice president is ready to make the leap, likely in early April. He'll deliver a speech on Saturday before a friendly audience of Delaware Democrats. "He wants to do it," said Rep. Cedric Richmond of Louisiana, who is a former chairman of the Congressional Black Caucus and a Biden supporter. 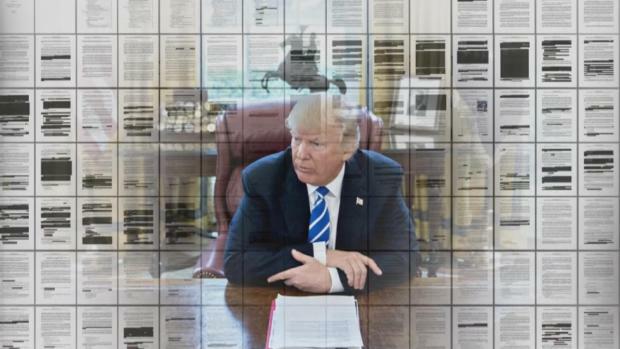 "He just wants to cross every T and dot every I." Stacey Abrams, the popular Democrat who narrowly lost the Georgia governor's race in November, has also stoked speculation about a 2020 White House run. However, people close to Abrams say she is more likely to pursue a Senate campaign. Abrams and Biden met privately Thursday in Washington. Trump is closely monitoring the Democratic primary, including O'Rourke's announcement. 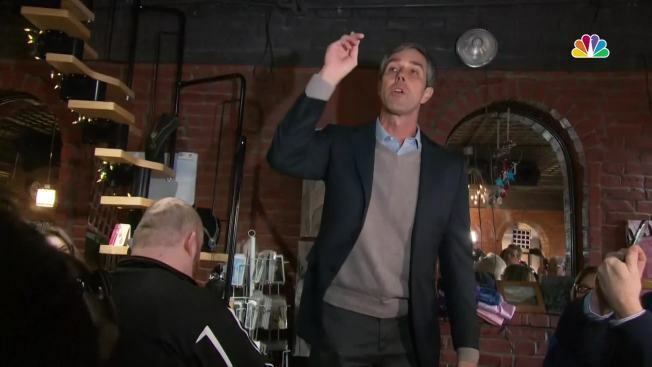 He jabbed at O'Rourke's animated speaking style, saying, "He's got a lot of hand movement. Is he crazy or is that just how he acts?" and predicted victory over the eventual Democratic nominee. "Whoever it is, I'll take him or her on," Trump told reporters in the Oval Office. Associated Press writers Will Weissert, Thomas Beaumont, Juana Summers and Elana Schor contributed to this report.